Although the academic study of terrorism has increased exponentially since 9/11, the conventional wisdom about this form of violence was established decades prior. The conventional story is that terrorism is the poor man’s airforce or more generally a weapon of the weak. Certainly power asymmetry is part of the story and this hackneyed observation is reasonable on its face. In a recent working paper Cullen Hendrix and I suggest a more nuanced story about how state capacity influences terrorism. 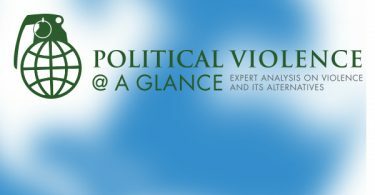 It is fairly uncontroversial to claim that the state establishes the opportunities for violence within society. As Rudy Rummel reminds us, the state is efficient at killing and unrestrained states are far more deadly than the most destructive oppositional groups. The trick as states try to build capacity in low capacity places like Afghanistan and Iraq is to build a state capable enough to reduce violence but restrained enough to refrain from wide-scale repression. States can be capable in many ways. I won’t discuss all of them here (see Hendrix’s “Measuring State Capacity” for an overview). However, two forms of capability can help us resolve the dilemma of making states both capable yet restrained. If terrorism is a weapon of the weak, then we expect it to be a tactic used against states with more capable militaries. In sum, more military capacity leads to more terrorism. States can also have capable bureaucracies (bureaucratic/administrative capacity (BA)) that can reduce terrorism in at least two ways. States with capable bureaucracies can better observe their populations and thus quickly identify and deter violent challenges. BA capacity can also reduce potential grievances by allowing dissidents institutional pathways to channel grievances, rather than violence. However, simply possessing institutions is not enough — capable institutions are what can potentially reduce the resort to dissident violence. Dividing capacity in these ways can also uncover why state capacity can both enhance and reduce terrorism. Figure 1 offers a first cut at examining the world when dividing capacity between these two dimensions, military and BA. The vertical access is military capacity and the horizontal represents BA capacity (see the paper for the gory details). The traditional story, or that military capacity provides incentives for terrorism as a tactic is supported by the initial check in Figure 1. The horizontal dotted line divides more militarily capable states from less capable states. The red number in each cell identifies the average number of attacks for the countries in each cell. Attacks are on average much higher above this horizontal dotted line. Adding this second dimension of capacity, however, can help explain variance among more and less militarily capable states. Having higher levels of BA capacity clearly reduces the average expected attacks. High BA capacity states with low military capabilities are the least prone to terrorism (avg. 2.1 attacks in a country-year). States like the US, UK, and France have greater attacks on average but many fewer than states like Russia, Colombia, and Burma. In the paper, we also use multivariate methods to control for other factors that might invalidate our argument and the results hold. If our results are accurate, the policy implications for states, such as Iraq and Afghanistan, are important. Building a strong military won’t likely decrease terrorism. Building rule of law, and strong and responsive institutions are the answer to reducing violence. Matt Lange and Hrag Balian have a paper in Studies in Comparative International Development from 2008 that suggests a similar argument, though his evidence is sketchy at best. Peter, I appreciate the comment. This graph is one year of data and this measure is based on expert judgments (by people like yourself maybe?). Without getting too much into the weeds of the data, let me try to offer a slight rebuttal. As I outlined in the post, these data do a good job of separating countries into the quadrants that we would expect (passing one smell test). Within those quadrants and within a given year, we may not have the precise ordering as there is always some error in measures (this assumes your assertion that BA quality is ordered France>Japan>US or France>US>Japan? is accurate). Given this, I still think this measure divides up the countries in a reasonable fashion. 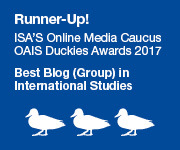 Did you have an idea for a better measure of bureaucratic quality that exists cross-nationally and over the time period in question (1980s to present)? Very interesting paper. I always find it fascinating to think of the strategic interaction between a terrorist and government. If I understand your argument, you hypothesize that bureaucratic capacity and military strength are strategic substitutes that have different externalities relating to terrorism (H1,H2). 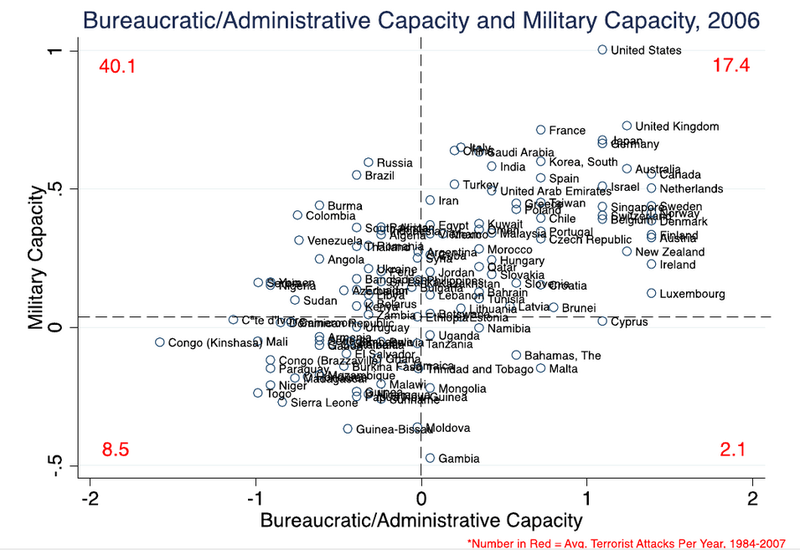 Further suggesting this trade-off, Figure 1 shows that military strength and bureaucratic capacity are positively but no perfectly correlated. One concern I have is that states face different choices on when to spend on the military versus state capacity. So baseline differences in circumstances (e.g. political or economic factors) drive different states to spend different resources on the military versus bureaucratic capacity (i.e. a selection story). These baseline differences, rather than spending on the military versus the bureaucracy may be driving the relationship between bureaucratic capacity and terrorism. You hint at this possible story in the conclusion. However, have you thought about using an instrument for military or bureaucratic capacity or using a difference-in-differences approach to arbitrage the time series aspect of the data? I think this may strengthen the findings. Keep posting on your interesting work! Thanks Thomas for the comment. What sort of instrument were you thinking of? Claude Berrebi has done this in his excellent work on terrorism, so he has some ideas, but I wondered if you might as well. Off the top of my head, what about a selection model? This would be complicated as the first equation would predict the ratio of b/a capacity to military capacity, then the second stage is our standard model. This might capture”baseline differences” in how states respond to the choices between these kinds of capacities? I appreciate the helpful comments. Again a very interesting question/paper. I would hesitate to model the selection explicitly. If you want to find an instrument you could use something like Acemoglu and Robinson’s settler mortality data. However, something that I think would be more interesting is to arbitrage the fact that the Soviet Union collapsed in 1991 in the middle of your data set. Perhaps you could use this as a shock to some countries’ military budgets (i.e. US/Soviet Union yanked military funding for some countries, and this is orthogonal to the conflict within those countries). Rereading your paper, I caught footnote 11– that your results are robust to including lagged past values and mean values in the panel specification. I think you both should be a bit more up front about the exact empirical strategy you are using, because this will alleviate some concerns about baseline differences. Best of luck! Good suggestions. Do you want to email me your info so I can thank you formally in the paper?